If you need to contact a coach in your division, go to the schedule tab at our website www.bascok.com. 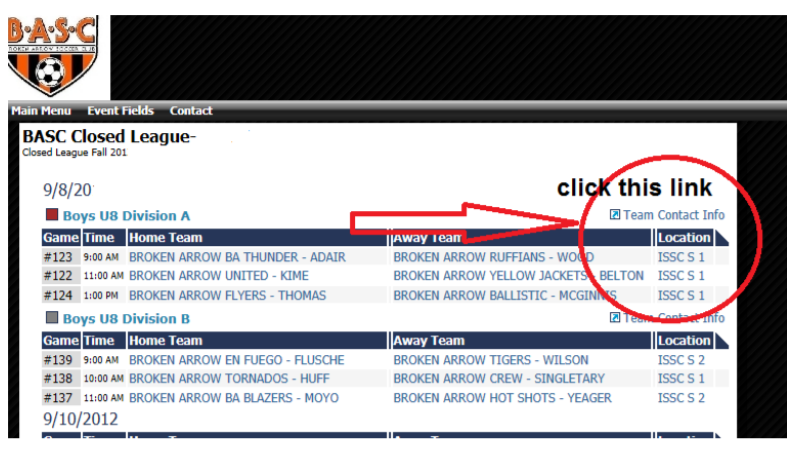 Open up your specific league, click your age group, click “full schedule”. Click on the hyper-link that says “Team Contact Info” in the upper right hand corner and it will give you Names, Email & Phone numbers of each coach in your division.